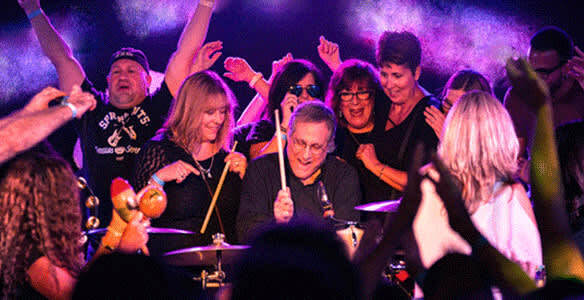 Drummer for Bruce Springsteen's E Street Band & Late Night w/ Conan O'Brien bandleader - Max and his 4-piece band perform over 200 rock and roll classics chosen in real time by the audience. Prepare to party! Reduced priced tickets Friday. Friday & Saturday at 8pm, Sunday at 6pm. Tickets increase $5 half hour before show time. ALL SALES FINAL - NO REFUNDS! Exchanges may be made for the same show, different date only. 24 hours notice must be given to box office prior to original ticket date plus $5 per ticket exchange fee. 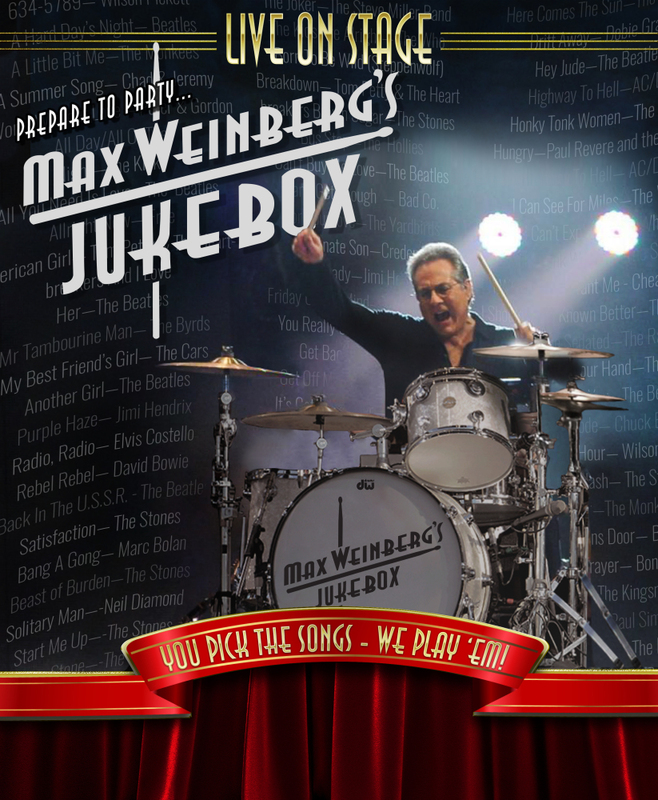 Performing over 80 shows so far throughout 2017 and 2018 Max Weinberg's Jukebox continues to barnstorm the country, blasting out the hits! As Chuck Berry instructed us in his classic "School Days,"..drop the coin right into the slot" audiences have thoroughly embraced the idea of picking and calling out the songs the band plays - in real time and in a variety of intimate venues. From Beatles to Bruce Springsteen to the Stones to Steppenwolf, the band infuses these classics with the respect the songs deserve. As one fan said, "It's not a concert - it's a party!" 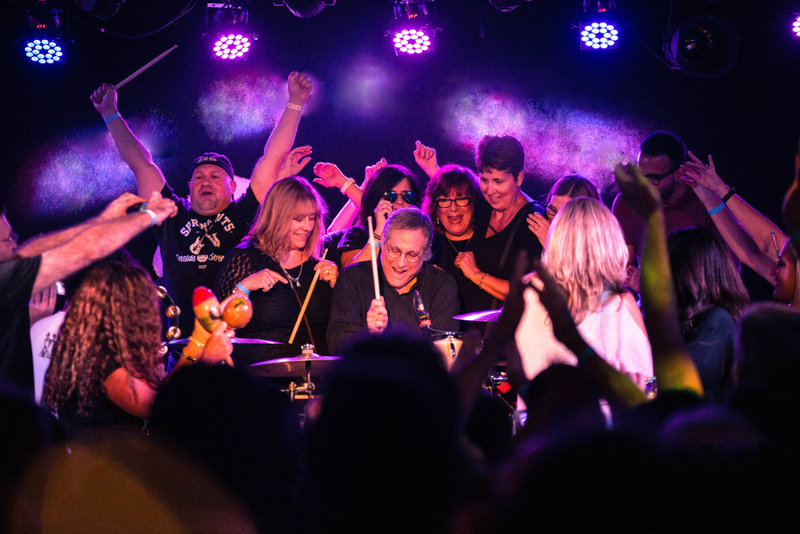 Or as Director of the Lincoln Amphitheatre in Indiana - Marc Steczyk says "Max Weinberg's Jukebox was one of the most interactive, energetic performances that we've ever had! Max, literally, leaves the stage to be amongst the crowd - his fans - and lets them pick the set list from a scrolling list of 300+ songs..and they play it...on the spot...spot on! Max is a pro's pro, as was his entire band - tremendously professional!"